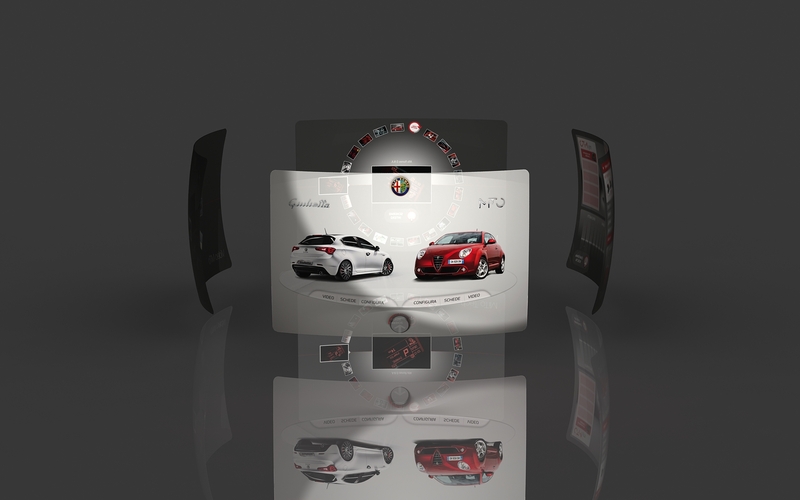 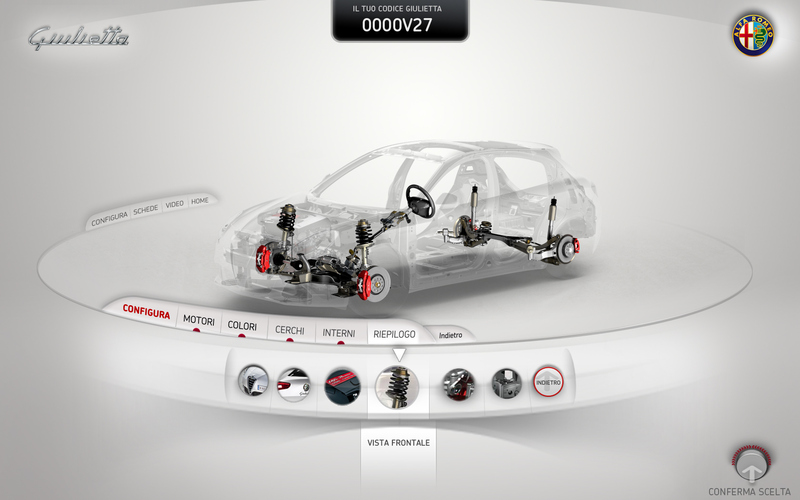 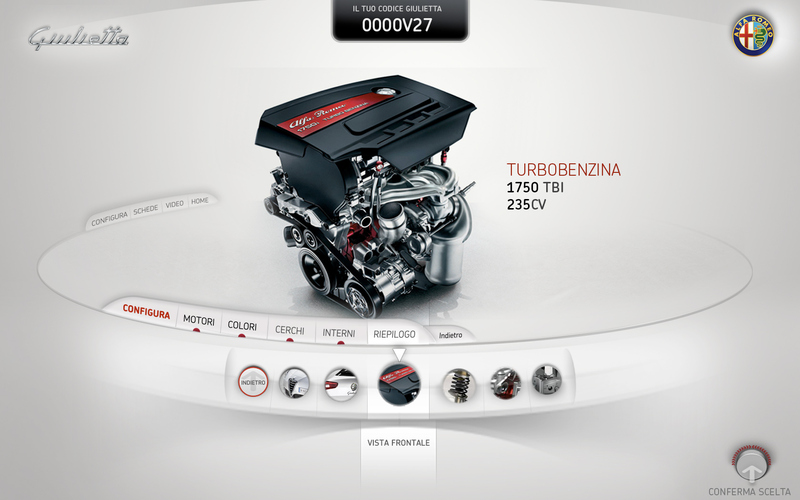 I worked as art director and Interaction designer on this project for the launch of Alfa Romeo Giulietta. 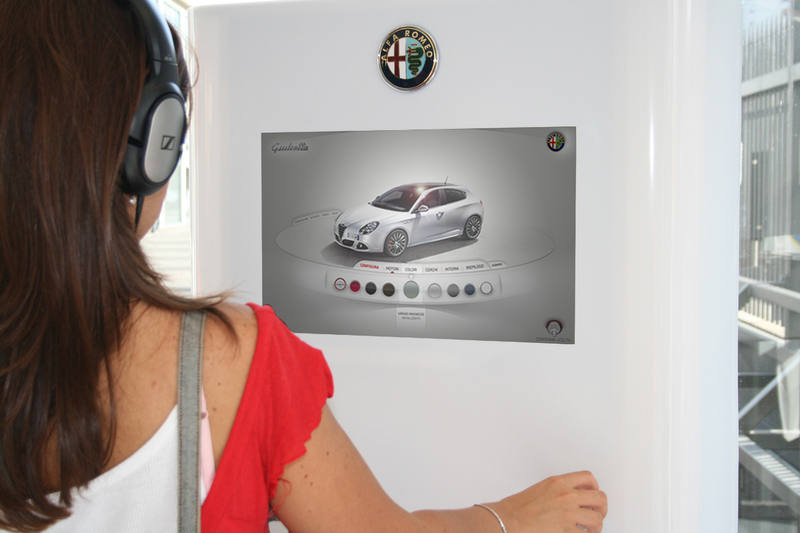 This is an interface for 220 Interactive totem all around Italy positioned in the Alfa Romeo dealers. 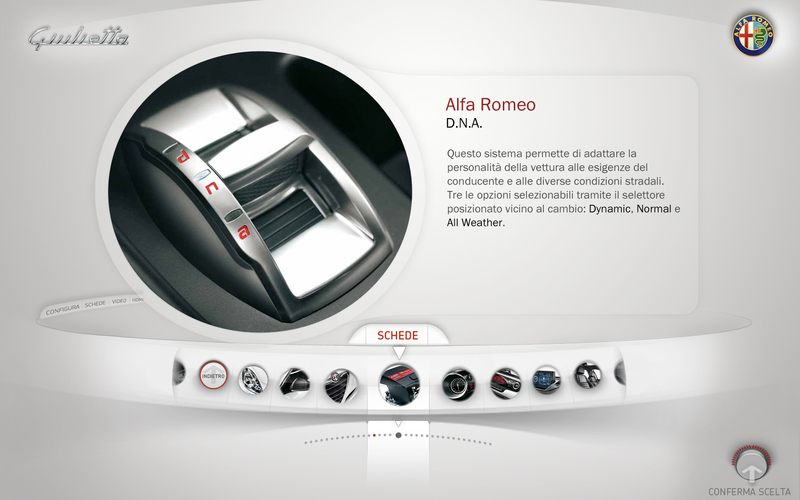 All the interface is controlled by a knob trought Arduino. 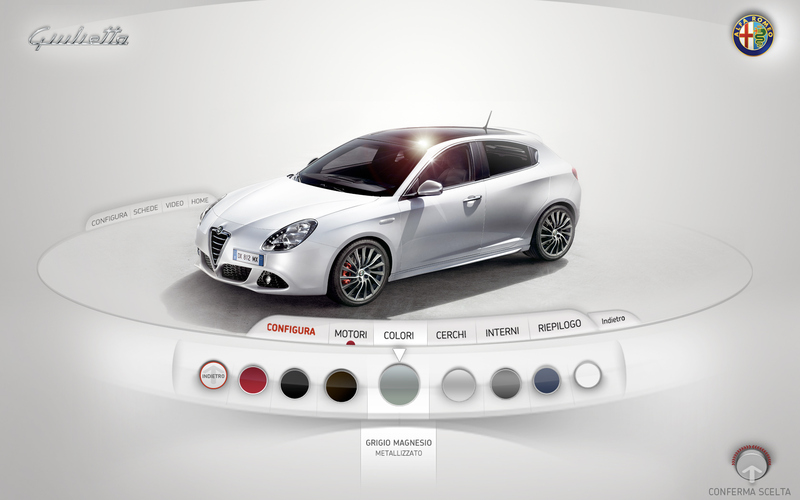 All the interface metaphor takes inspiration by the circular shape of the knob, to simpify and make more intuitive the way of interaction. 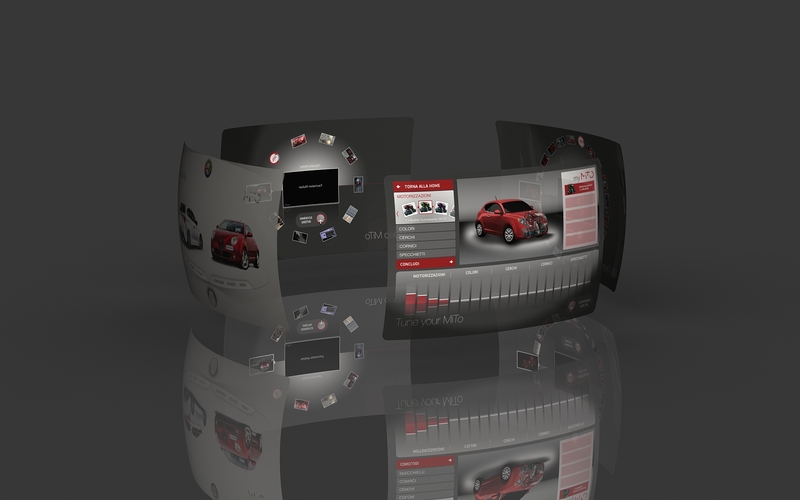 The car becomes a master piece being placed on a circular glass base, where by rotation the whole menu and sub menu become accessible, giving the possibility to create a customized version.